The Indigenous Bartender started off as a project of partners in life and business Kamil Foltan and Zurina Bryant, who wanted to create a platform to showcase flavours and cultures of the region through carefully crafted cocktails. Foltan, a well-known name in mixology, has been lauded for his creative cocktails that appeal to curious, discerning drinkers. 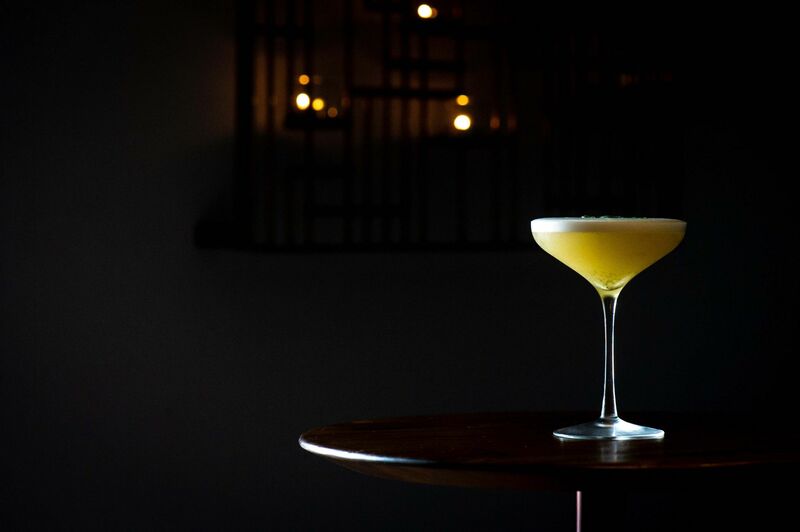 In his past roles at Potato Head and Tippling Club, he was in charge of creating unusual and exciting concoctions, a process that took him to different parts of Asia. "I got to travel around the region in search of new things to bring to the table. I fell in love with local produce that were new to me and discovered the endless potential of flavours we could introduce to our patrons," he shares. Coming up with conceptual cocktails was one of Foltan's main responsibilites in his previous posts, and this strength comes to the fore at The Indigenous Bartender. For the past year, they have been busy with pop-ups at Bob's Bar at Capella Singapore, as well as consultancy gigs including the creation of the Six Senses Duxton's bar programme. The establishment of The Indigenous Bartender Headquarters (IBHQ for short) was a longtime dream for the couple. Foltan expounds, "The HQ concept was developed over the past 5 years, and we've worked on the business plan for the last year and a half. Things moved quickly once we found the site, which is located in a shophouse built between 1840-1900 along North Bridge Road. This place is home to everything that we will work on and develop." While drinking is definitely encouraged here, both Foltan and Bryant say that IB HQ is more than just a regular bar. "Yes, it is a bar but it also has extensive back of house operations. There is a kitchen prep area, where we get full control of all house infusions for our signature cocktails." Research and development features largely at IB HQ, which results in a world of novel cocktails for the picking. Aside from the stellar selection of cocktails, they also offer a tight edit of wine, beer, and sake to satisfy everyone's thirst. The pair is also working on masterclasses and workshops, alongside many other surprises that they will share here. When asked what guests should expect when they visit, the husband-and-wife team turn slightly mysterious. At the very least, guests are sure to experience a "flavour explosion" in a setting that feels more like a living room than a typical bar. Set in a shophouse in Kampong Glam, the 30-seater proffers a residential feel and is perfect for private gatherings. What should you order? They recommend their personal favourites, namely the Osmanthus Gimlet and the Pear and Peach & Wasabi. Foltan, however, stresses that you shouldn't stop there. "We’ve been told by our early guests that they plan to try the full menu. We challenge you to do the same!" The Indigenous Bartender Headquarters (IBHQ) is at 774A North Bridge Road. It is open for bookings between 5pm - midnight, Wednesday to Saturday.